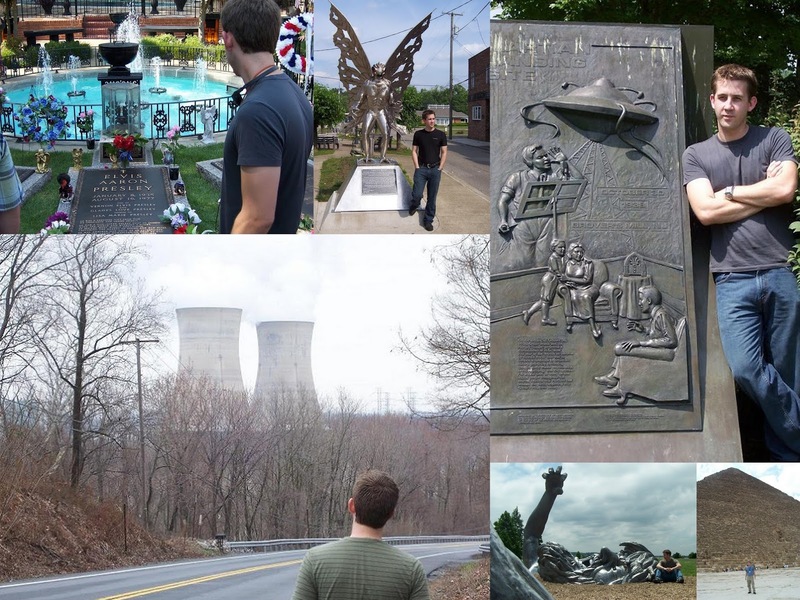 June 16, 2017 — The first six articles on OTIS are all dated June 1, 2007: The War of the Worlds Memorial in New Jersey, the Great Pyramid in Egypt, The Awakening sculpture in D.C. (now in Maryland), Three Mile Island in Pennsylvania, Graceland in Tennessee, and the Mothman statue in West Virginia. That’s the motley crew of oddity I launched this site with ten years ago. Today, OTIS features somewhere around a thousand oddities across 38 states and 10 countries, all of which I’ve personally visited…and that’s not counting all the sites that are only featured in my books. On top of that, OTIS has somewhere around 400 in-between-the-oddities blog articles, including seven years of the OTIS Halloween Season Blog. And then there are the 50-odd OTIS Club newsletters. If I do the math, there’s no way that much traveling and writing in my spare time is possible. Fortunately, in my day job, I’m a time machine mechanic. I kind of wanted to make a big deal about the anniversary, but then as it approached, I kind of didn’t. As I just wrote, OTIS has always been a spare-time venture, and these days that spare time has lots of competition. Fortunately, a lot of that spare-time competition is from projects that OTIS (and if you’re reading this, more than likely you) have made possible. But I didn’t want to let it go too far past without acknowledging it, even in a small way. I’ve told bits of the OTIS origin story here and there before, but never fully. And I won’t do that now, either. Saving it for the screenplay. Also, boring. But I thought I’d try to come up with 10 facts about the origin of OTIS on this the 10th anniversary of some dude screwing around with a newly fangled digital camera one day long, long ago. 1. I originally didn’t use my name on the site. I think it was due to our general Internet-terror that was still lingering in 2007 and my personal life-embarrassment that is still lingering today. 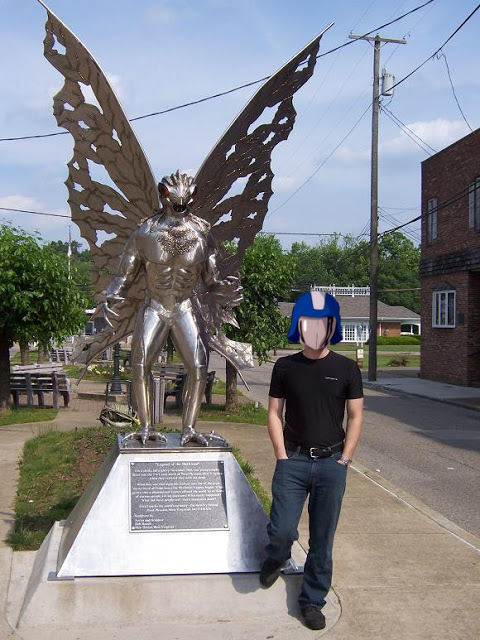 Of course, by the time my first book came out in 2010, I’d de-anonymized myself. The process was pleasurable. 2. Originally, I wasn’t going to have my face on OTIS either…which would have been a challenge since the gimmick was getting a photo of me with whatever I was visiting to prove my firsthandedness. But my plan was to overlay something on my face in every photo. After much thought, I chose Cobra Commander’s mask. The metal shield one. I also don’t remember why I chose that nor why I didn’t follow through with that. Both point 1 and 2 are quaint in this post-social world. My original vision for OTIS...finally come to pass. 3. When the site started, I was only going to do one photo per entry to keep it nice and simple. It would also help me constrain how much I had to write, as I didn’t want to have to bog myself down in research. It wasn’t supposed to be that kind of project. One photo, why I went there, a couple of impressions, post. I mean, I only posted one photo from my visit to Graceland for goodness’s sake. It quickly became obvious that it was a dumb idea, though, because the photos were way more important than the words. So, starting with the Dawn of the Dead Mall article on June 23, 2007, I went full-photo...although I still took me a while after that to figure out how to document sites that way. 4. I finished up that first batch of posts in a tiny cabin somewhere in New York. I wasn’t even on an oddity hunt. I was just trying to get away from things for a bit. 5. The idea for OTIS came out of a bad time in my life, a bad enough time that the idea of documenting myself somehow seemed like a way out and an interesting project. But it wasn’t, either one. So then the idea of documenting my boring self with actually interesting things seemed interesting to me. 6. I pretty much owe any success of the site to some unknown person at IMDb.com who regularly posted links to my work in that first year on a now-defunct section of that site and jumpstarted enough of an audience to keep me going with the project. I've written about this story in full in one of the OTIS Club Newsletters. 7. Early on, I was worried that I wasn’t going to be able to visit enough oddities from across a big enough range of states to keep the site going for more than a few months. It was a legit concern. I wasn’t a big traveler, my job at the time was sedate. I should have completely kaboshed the idea for better travelers. I didn’t, though, and now have I a backlog of like 150 oddities across more than a dozen states and countries that I haven’t gotten around to writing about on OITS. 9. I’ve only ever used the perennially uncool Blogger platform for OTIS, which has worked out well as far as its searchability and reliability since it’s owned by Google, but has really sucked design-options-wise because they don’t do much cool with it, and I suspect that it’s one of those Google projects that will be shut down as soon as they realize that they still own it. 10. 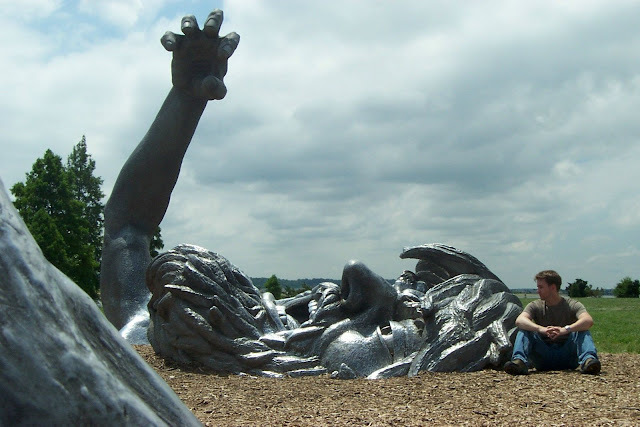 While the beginning ideas for the site were laid down in Brunswick, Maryland, I didn’t press post for the first time until I’d moved to Fairfax, Virginia. My Mid-Atlantic life seems so far away. I feel like every time I do an introspective post here, it’s an elegy. 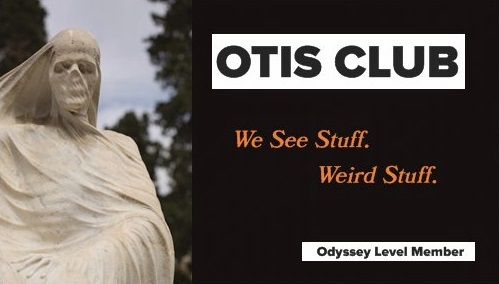 But just know that there’s not a day goes by that I’m not writing or posting or researching something OTIS or OTIS-adjacent. Except when I’m writing stuff OTIS-adjacent-adjacent. Thanks to all of you who have been any part of the past decade of OTIS. You’ve done so much more for me than you know.